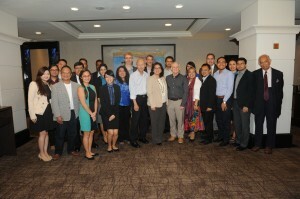 The 2nd Expert Group Meeting on the Impact of Climate Change on Food Security was held from 14 to 15 May 2015 at Orchard Parade Hotel, Singapore. The event brought together scientists and researchers from global research institutions like the International Rice Research Institute (IRRI) and the World Vegetable Center, as well as academics from universities, to exchange ideas and research on projected downscaled climate impacts on food production in key producing and exporting regions. Methodologies, key findings and uncertainties of the climate impacts on food production were discussed. The meeting agreed that more pioneering research into livestock, fisheries and vegetables is necessary because little is still known about their responses to future climate change. There is need for a standardised approach to identify downscaled climate impacts to harmonise various climate scenarios, climate models, downscaling methods and crop models. The communication of the assumptions and uncertainties behind various methods used for downscaling such as crop modelling, ‘meta modelling’ exercise, extrapolation from historical data, and trend analysis is essential to allow policy makers to understand the inherent variability in both the climate as well as projections. Southeast Asia’s lack of sufficient research into non-staple food commodities such as vegetables, fish and livestock, was also raised. Crop modelling exercises to project future climate change on key crops such as rice in Southeast Asia could be made a priority for scientists from the region. The complexity of projecting the climate impacts on these commodities and the lack of sophistication in current methods are key limitations. However, a consistent finding is the fact that the tropics is likely to experience a reduction in food production, with a reduction in viability of certain crops like vegetables and wheat in the lowlands of Southeast Asia, and the possible migration of fish to higher latitudes and deeper waters. Small holder farmers and fisher folk were also identified as the most vulnerable, given their dependence on fishing and agriculture for income and limited ability to exploit available technologies and adaptation options. While production is an important dimension of food security, the other dimensions, such as nutritional security and access are also important. Reduction in fish catch, subsistence vegetable production and income from food production will have an impact on the food security of Southeast Asia’s people. The discussions highlighted the need for policies to focus on small holders and vulnerable populations, and to mainstream climate adaptation into national development plans. 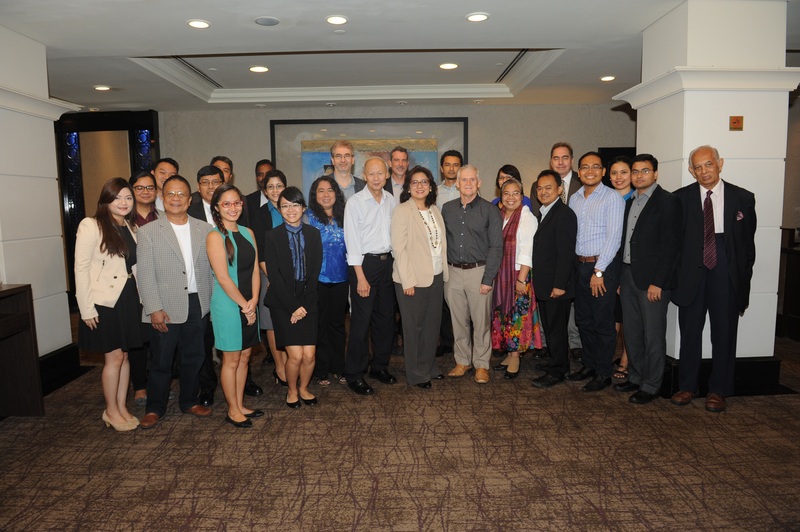 Regional efforts to certify new crop varieties and develop consistent methods to collect data on climate trends as well as biotic and abiotic stressors can help the ASEAN region progress as a whole in the scientific understanding of climate impacts. The extension of national research efforts to identify various climate zones and their hazards can also help to inform policies on coastal and land use management.